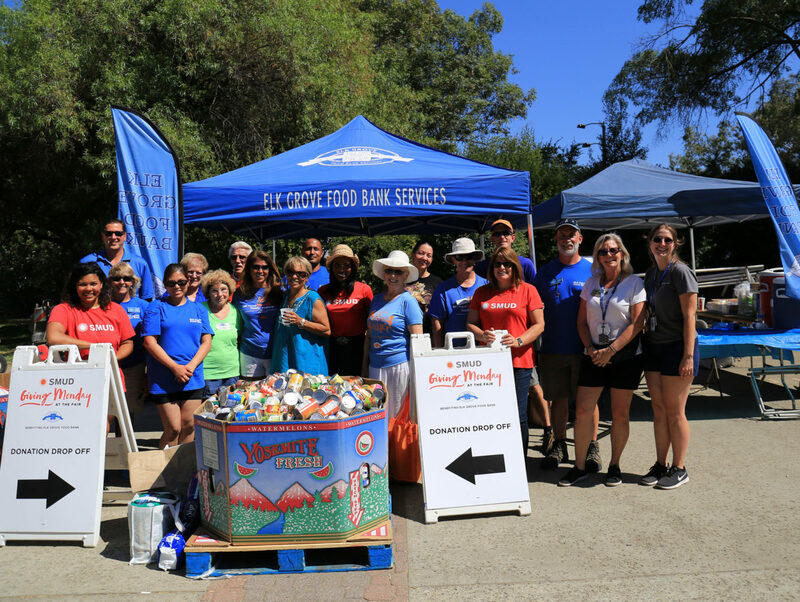 SMUD Cares at the Fair – Giving Monday was a success! 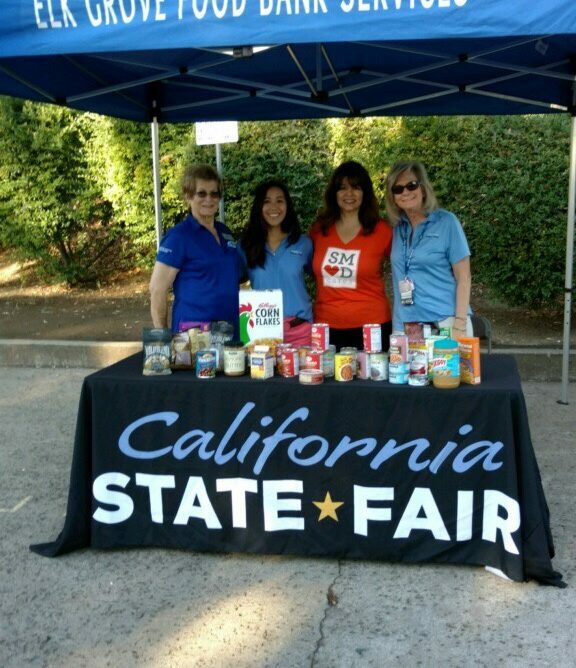 For both Mondays of the California State Fair, fairgoers who brought in 3 cans per person before 3 PM got free admission to the State Fair for that day. 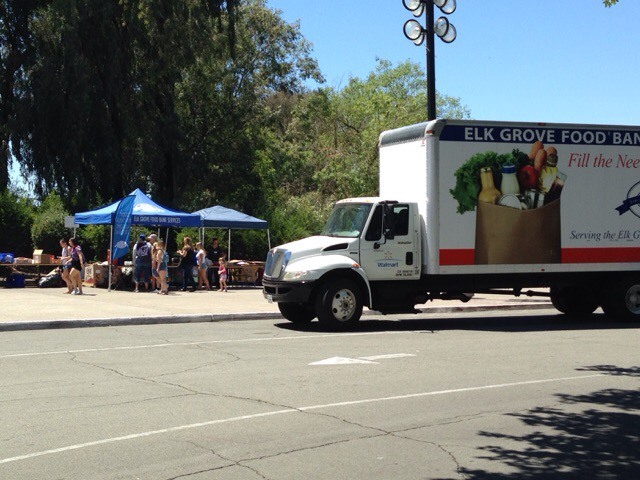 All of the donated goods benefited the Elk Grove Food Bank. 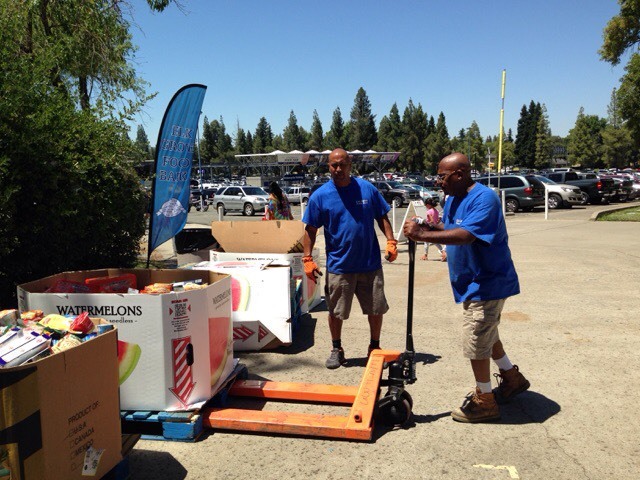 The first Monday of the fair brought in 12,572 pounds of food. 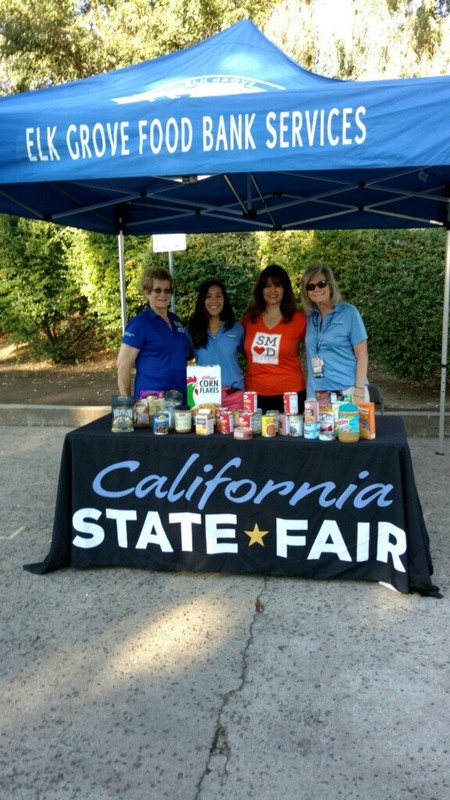 The second Monday was even more successful – fairgoers donated 16,295 pounds of food. 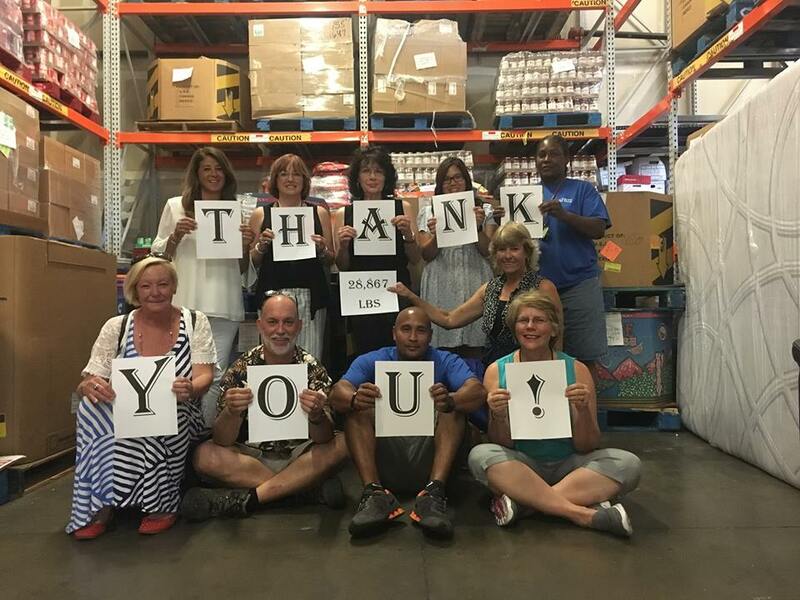 This brought a total of 28,867 pounds of donated food to the Elk Grove Food Bank. “The 28,867 pounds of food donated will ensure the 5,700 food insecure neighbors we serve each month will have a meal during the summer. 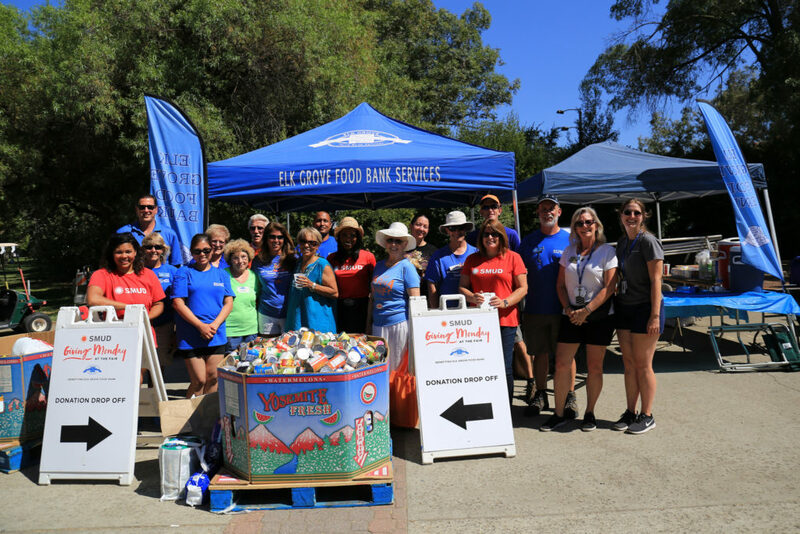 Our clients will benefit greatly, especially the children and the sharply growing number of seniors,” said Marie Jachino, Executive Director Elk Grove Food Bank. Thank you to all those who donated! 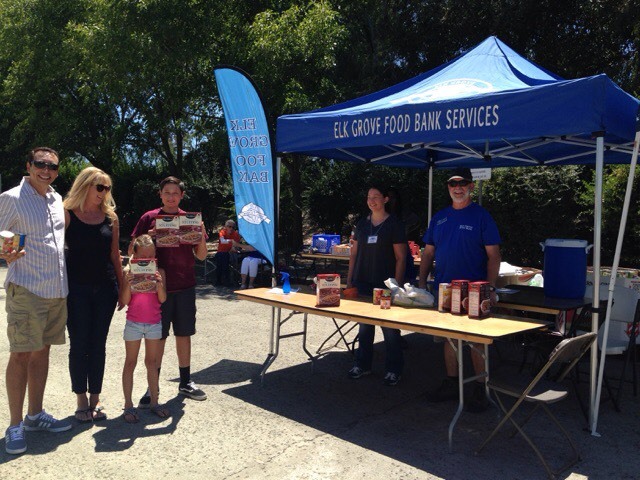 Elk Grove Food Bank would also like to thank SMUD and Cal Expo for their partnership and for making this possible.